Both grades 5 and 8 classes held their spring banquets last week. During the banquets, the students were recognized with different awards, including Bronze B recognitions for excellent academic standing. The grade 5 banquet also included some musical entertainment. The students played "Sweet Home Alabama!" 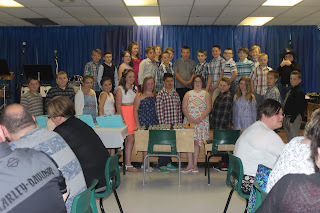 To see more pictures from the Grade 5 banquet, click here. To see more photos from the Grade 8 banquet, click here. 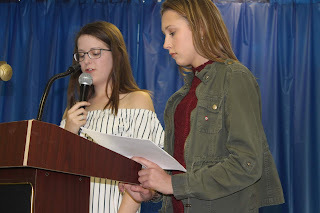 Photos by Jules Keenan, Mrs. Girouard and Ms. Duffy.